All reasonable measures are taken to ensure the quality and accuracy of the information presented here. However, there is the possibility of unauthorized modification of the data, transmission errors, HTML browser incompatibilities, changes made since the last update to the Website, or other aspects of electronic communication that are beyond the control of Treasure Karoo Action Group. 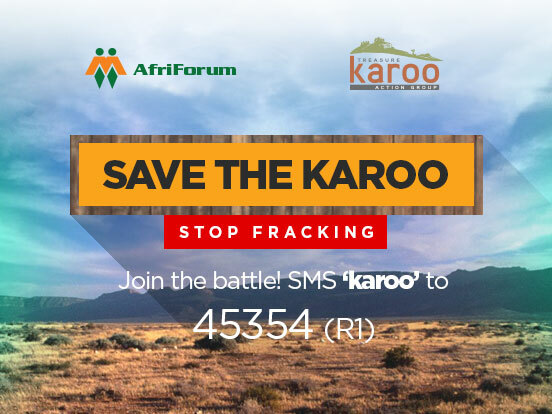 As such, Treasure Karoo Action Group does not guarantee the accuracy of the information provided on its website and is not liable for reliance on this information. In using this website, you agree that its information is provided "as is, as available" without warranty, express or implied, and that you use this site at your own risk. The information and data included herein website have been compiled from a variety of sources and are subject to change without notice. Treasure Karoo Action Group makes no warranties or representations whatsoever regarding the quality, content, completeness, or adequacy of such information and data, follow-up with additional and independent sources. Reference in this website to any specific commercial products, processes, or services, or the use of any trade, firm or corporation name is for the information and convenience of website visitors. It does not constitute endorsement, recommendation, or favouring by Treasure Karoo Action Group. Information presented on this website is copyrighted and may not be distributed or copied without written permission from Treasure Karoo Action Group management. The Treasure Karoo Action Group Logo and related graphics shown on this website is our official “trademark”. This and photos of our products on the website is explicitly reserved for our use only. Treasure Karoo Action Group contains links to external sites that help provide visitors interested in learning more about the topics discussed on the website with information that may have been found to be useful in the past. Links to external servers do not necessarily imply any endorsement of the opinions or ideas expressed therein, or guarantee the validity of the information provided. Links to commercial sites are in no way an endorsement of any vendor's products or services. Nor do they provide any endorsement of fundraising efforts or lobbying for a political agenda. 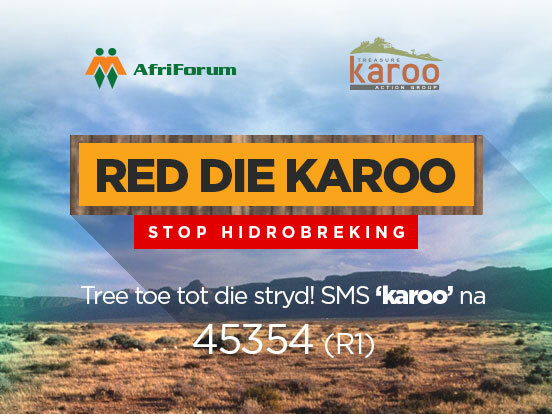 Communications sent via the Internet shall in no way be deemed to constitute legal notice to Treasure Karoo Action Group or any of its Staff. The use of the Treasure Karoo Action Group website indicates your unconditional acceptance of the above disclaimers and statements. You further agree that Treasure Karoo Action Group and its Staff have no liability for direct, indirect, incidental, punitive, or consequential damages with respect to the information, services, or content contained on or otherwise accessed through this website.